so no, we dont play out all the time and no, we dont have a new release coming out next week. 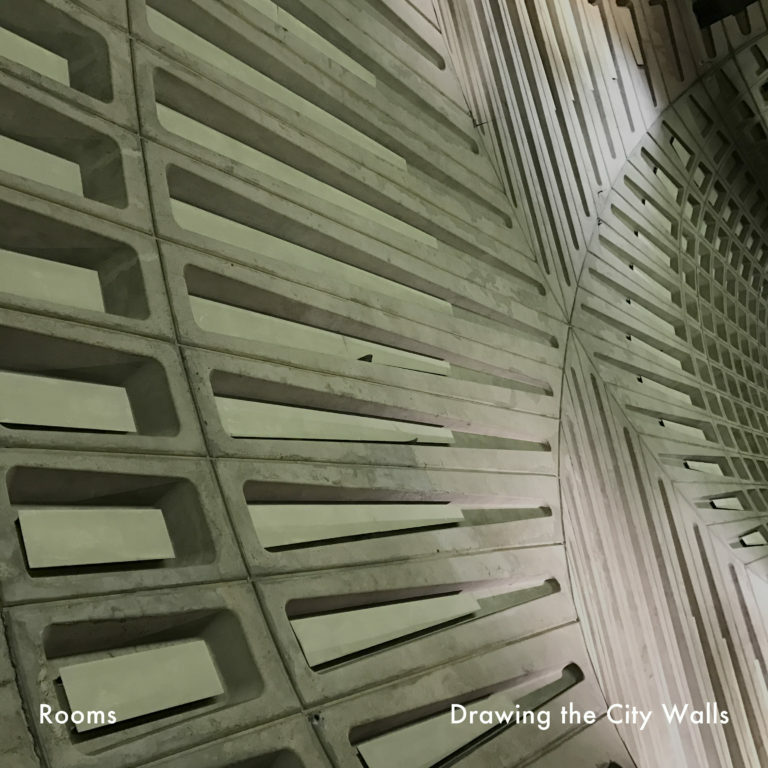 what rooms has in store for you is some city traversing fun coming up on 11.19.10! we are privileged to have been asked to play Tonic Ball 9, a yearly fundraiser for Second Helpings, one of the raddest food rescue/job training/feeding those that need it NFP is this city. every year their committee chooses an artist that any high school rock band would be happy to cover but seasoned professionals (like us) find daunting and intimidating. so OF COURSE we play the year they pick the Beatles. it only makes sense, dammit. now ben has a piece of artwork up for grabs at the Tonic Gallery and money from its sale will also go to Second Helpings. you can go stare at that over at the New Day Meadery, right across the street from the Fountain Square Theater where rooms will be playing a relatively early set of 3 songs: two originals and a Beatles cover…which one?…you’ll just have to show up and enjoy it, or, ask us. 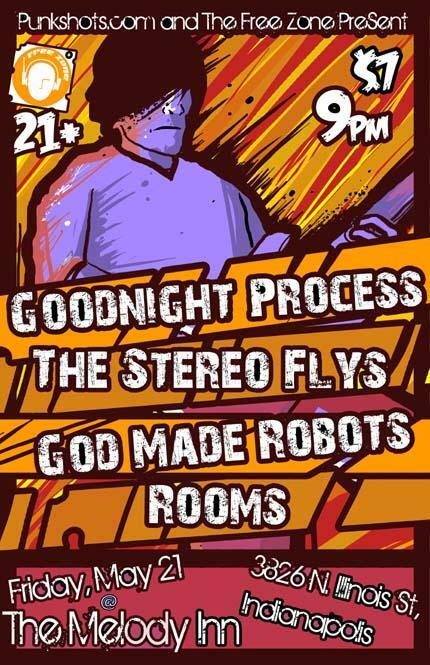 the SAME NIGHT over at the Melody Inn Rooms will be playing one of the more enjoyable shows of the season. well, enjoyable for us because we love playing clusterf*@k shows. the show brings back for one night only Creepin’ Charley and the Boneyard Orchestra (great dirty dark dark dark blues), Order of the Black Hand (great dirty dirty dirty dark metal), and Rooms (great dirty, slightly grey scaled indie). DJ Dicky Fox will be making prerecorded songs audible between sets. the coolest things about the show? whats happening next door…. Rooms Review in Eastern Surf Magazine! 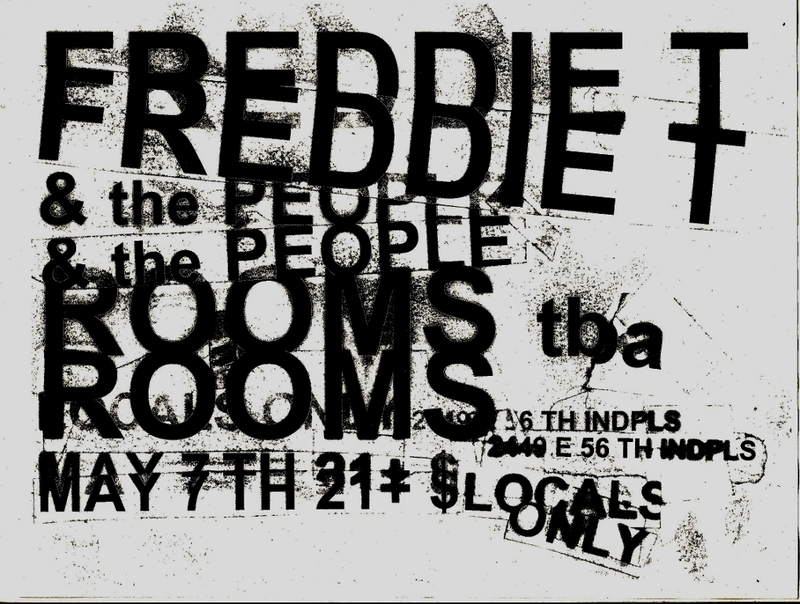 Rooms & Freddie T Rock Locals Only May 7th! Freddie T and the People, Rooms, and some other bands to be announced will be rocking Locals Only Art & Music Pub on Friday, May 7th! 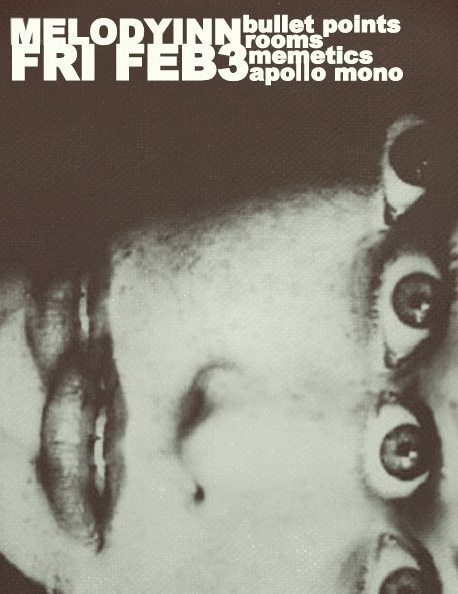 Freddie T and the People are an amazing supergroup of talented musicians led by Fred Erskine (of June of 44, Hoover, The Boom, Him, etc.) with members of Racebannon, Medusa, and Nidus. They play infectious rock with serious classic soul and reggae influences. There will also be other bands and we will soon know who they are. 21+ $5 or $6 or so. Locals Only is located at 2449 E. 56th Street in Indianapolis.